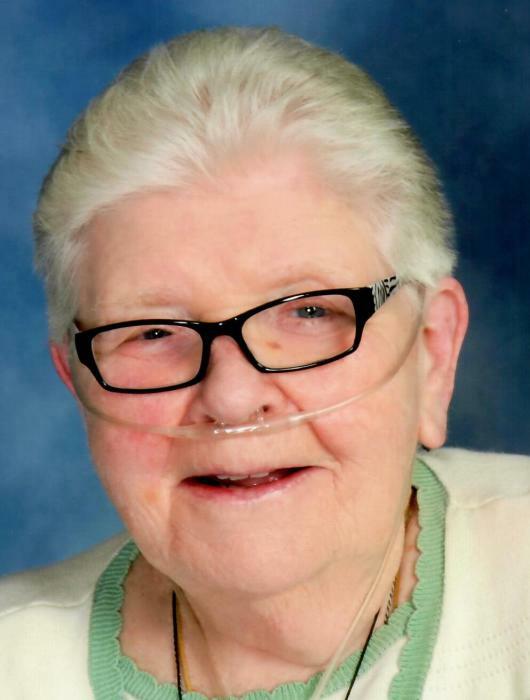 On April 10, 2019, Margaret L Moore (Grady) passed away peacefully in Kankakee, IL. Marge will be greatly missed by her family and friends. She was born on January 24, 1934 in Springfield, Illinois. Marge was one of 16 children born to John Grady & Margaret (Kelly) Grady. She always smiled when telling Grady stories and often spoke fond memories of growing up with so much love and laughter in the house. Marge moved from Decatur, IL to Westmont, IL in 1970. She married the love of her life Warren Moore in 1975. Shortly after Warren’s death she moved to Peotone, IL where she lived for several years. Marge loved playing golf, spending time with family and taking care of others in need. Margaret is survived by several nieces, nephews and sister-in-law. The family would like to personally thank Riverside Senior Living and Kankakee Hospice for taking such great care of Aunt Marge. A funeral mass will be held at St. Paul the Apostle Catholic Church on Saturday, April 27, 2019 at 10:30 a.m., Father Roger Kutzner officiating. Interment will be at Mount St. Patrick Catholic Cemetery in Manhattan. There's still time to send flowers to the Memorial Mass at the St. Paul the Apostle Catholic Church at 10:30 AM on April 27, 2019.